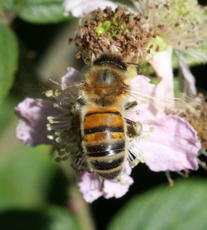 Body thick, marked with yellow and brown, the eyes are hairy. The body is covered in short hairs. 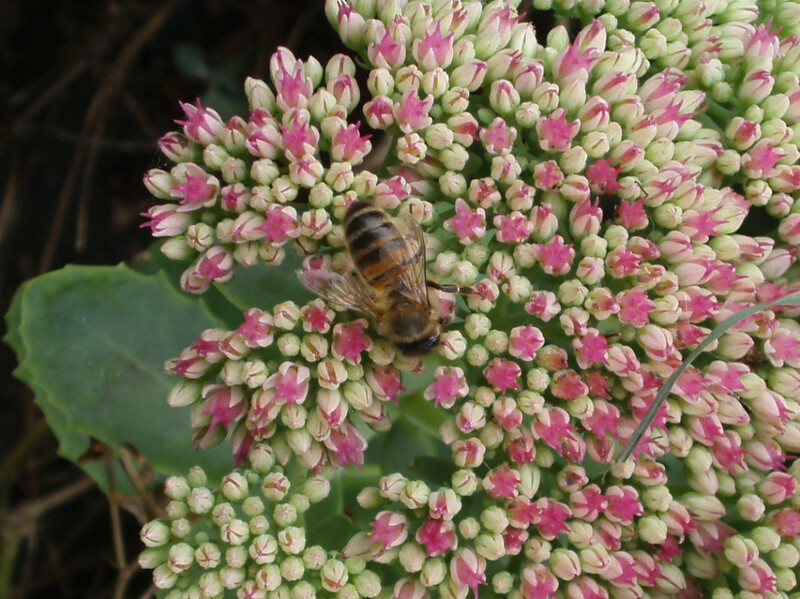 Average length about 12 mm. Frequent visitors to flowers in various habitats, but frequent in gardens and parks. 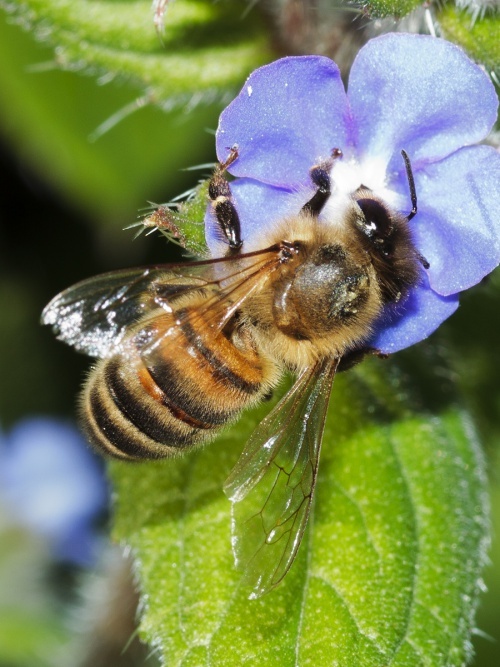 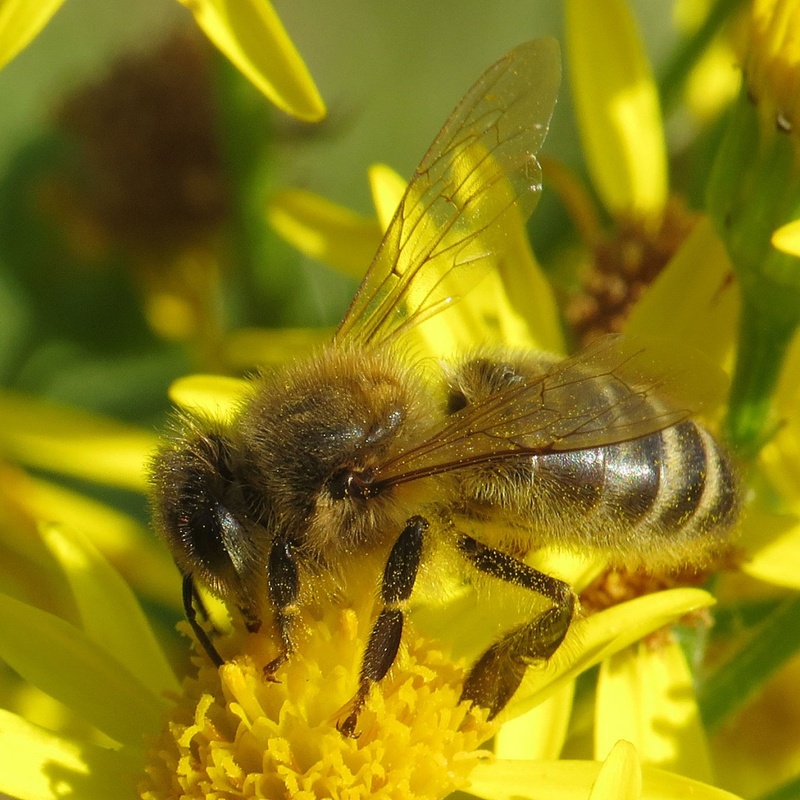 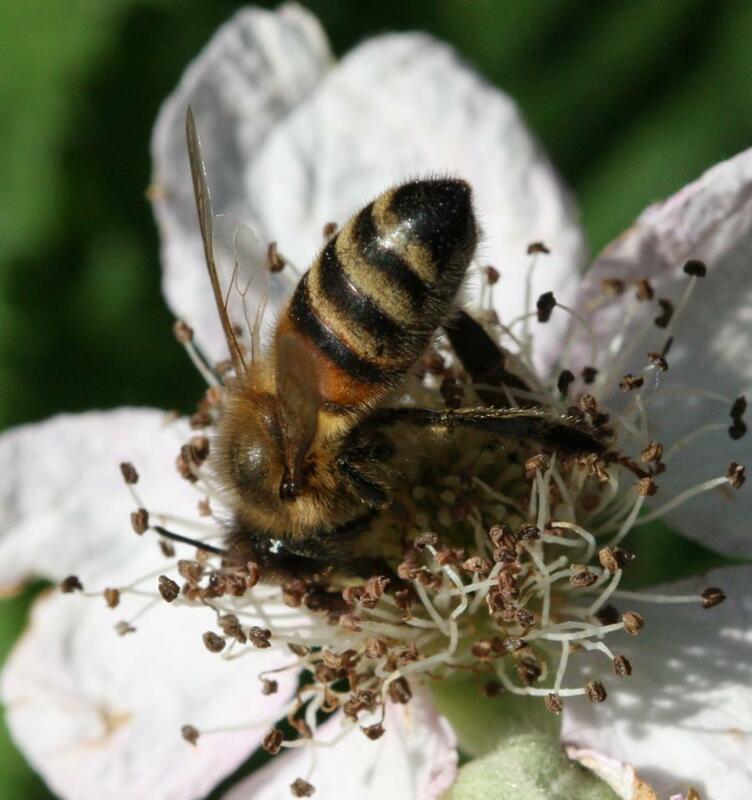 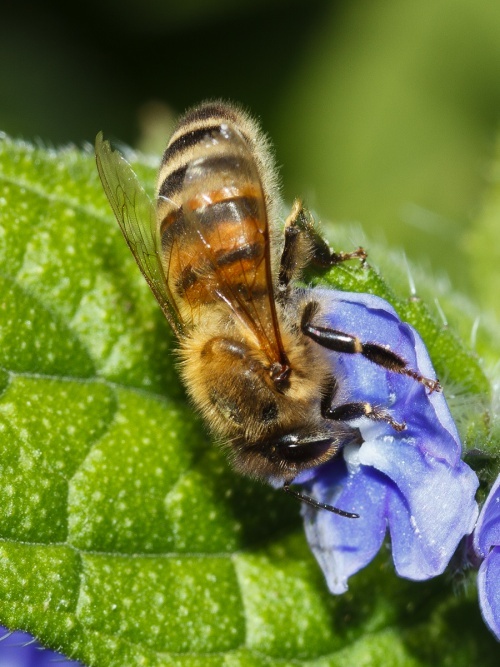 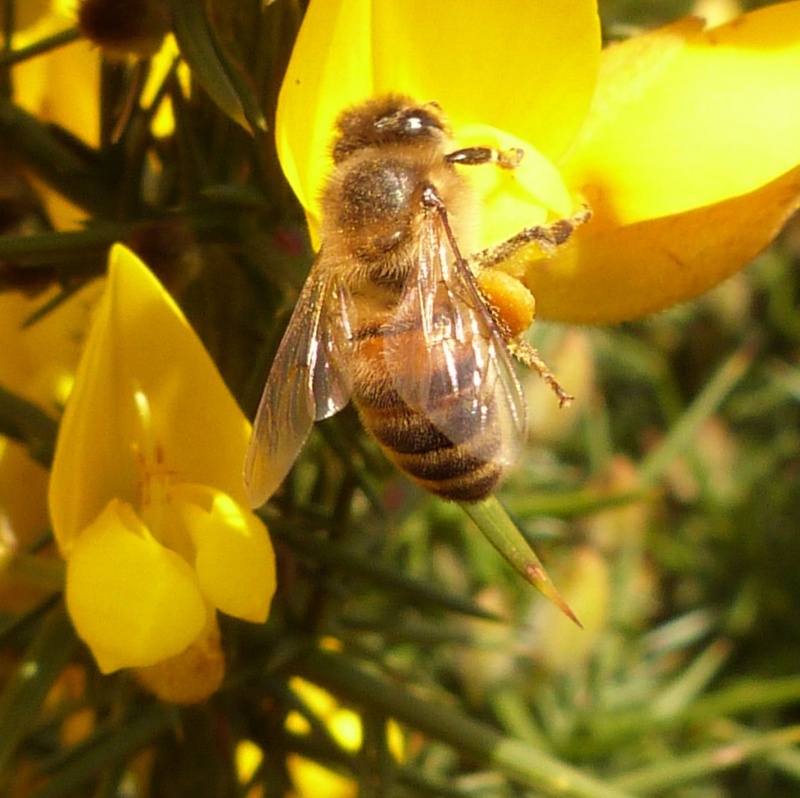 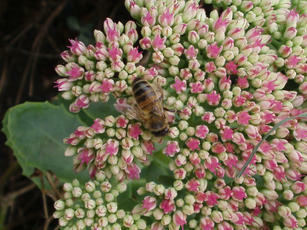 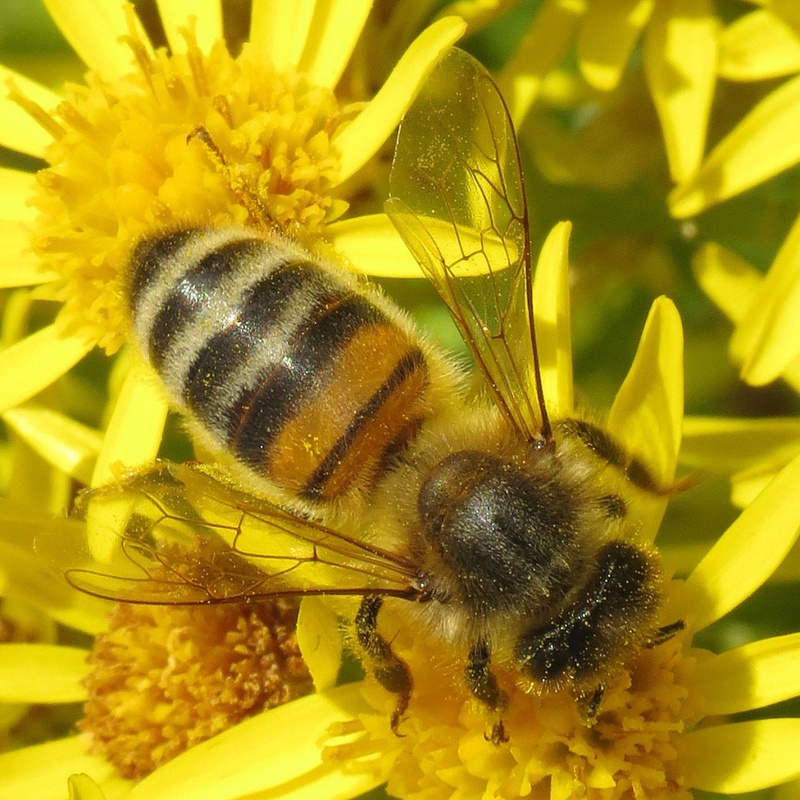 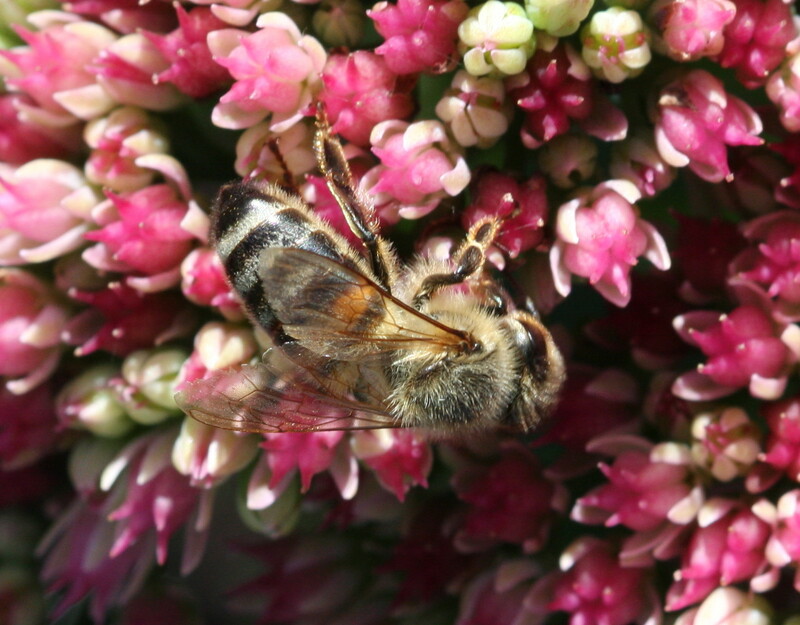 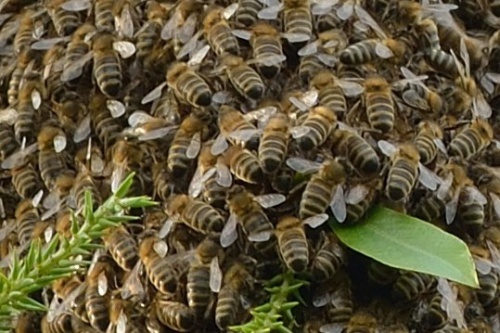 Native wild honeybees are no longer believed to live in the UK. However some managed bees do escape and become feral. 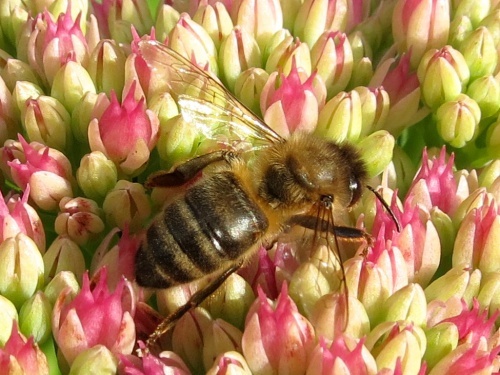 Honeybees are social bees that live in permanent colonies of perhaps 50,000. 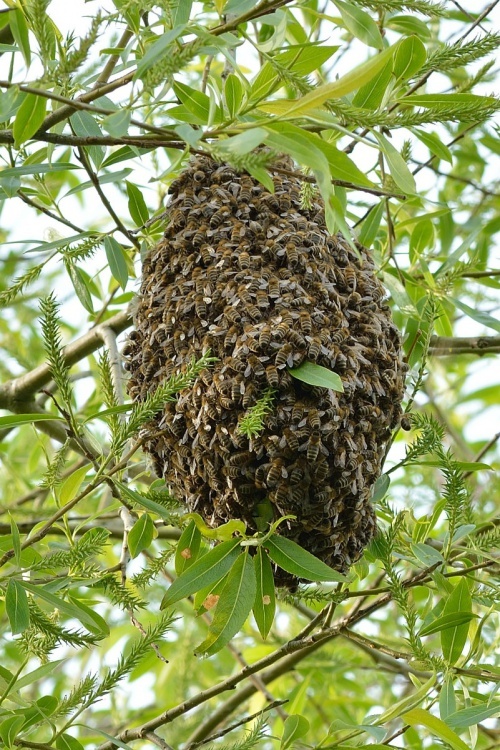 Feral colonies like to nest in hollow trees or similar sheltered situations. The hive structure consists of wax 'honeycombs'; each honeycomb is made of small cells, which are used to store food or to rear the brood. Bees feed on nectar and pollen taken from flowers. 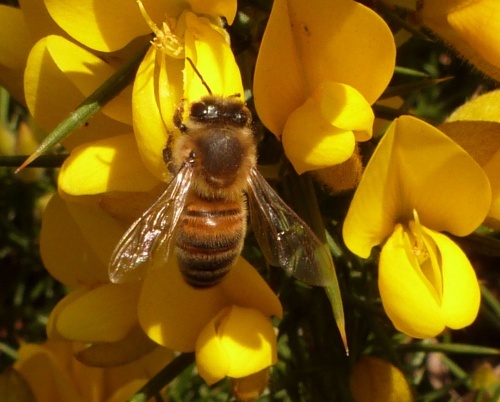 Stores of honey (regurgitated nectar) and pollen (gathered on the legs in special 'pollen baskets') see them through the winter and enable them to stay together as a colony. 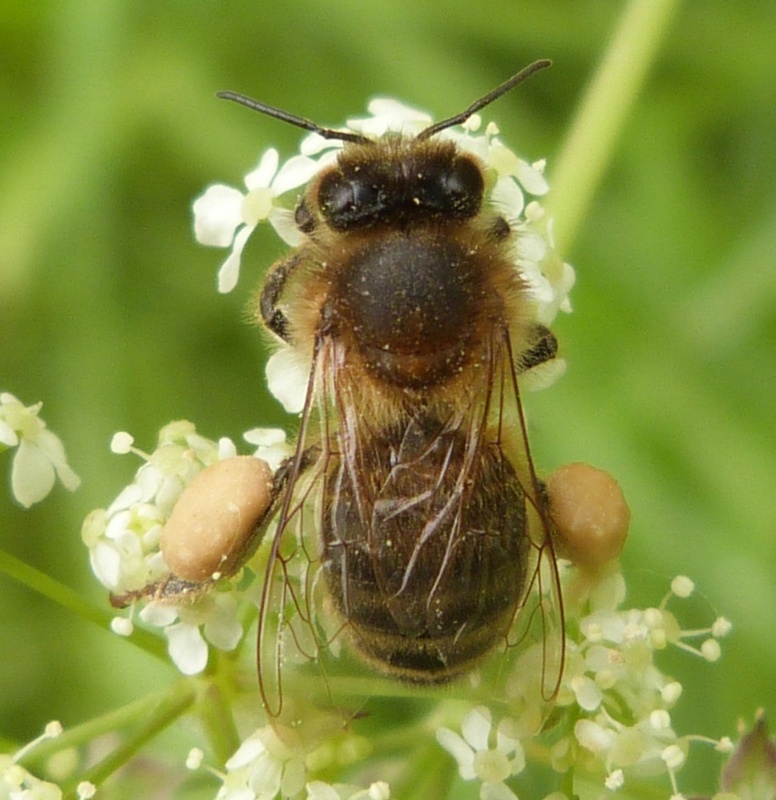 Although fairly common and widespread in Britain, competition from introduced species, and cross breeding, plus the threat from the mite Varroa jacobsoni, have caused worrying decline of population numbers.